In today’s workplace and fast-paced, ever-changing business economy, people are forging careers as drivers, photographers, writers, graphic designers, marketers, and other types of service providers. These and other types of independent contractors are finding themselves among millions of freelancers globally, and that number continues to grow. Such entrepreneurial workers are moving away from full-time jobs in favor of more freedom and control over their livelihoods. They are buying into a business model where they structure their work on individual assignments, or gigs. Along with this comes the responsibilities of operating or managing the business. It’s no secret that these entrepreneurs who are passionate about what they do, would rather do more of what they love rather than managing the business side of things. And that’s where we come in as the Freelancers’ Back Office support team to free you up to do just that – with Zoho One. 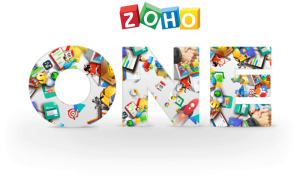 Zoho One includes more than 35 applications with complementary mobile apps so you can run your entire freelance or any other small business on one suite. 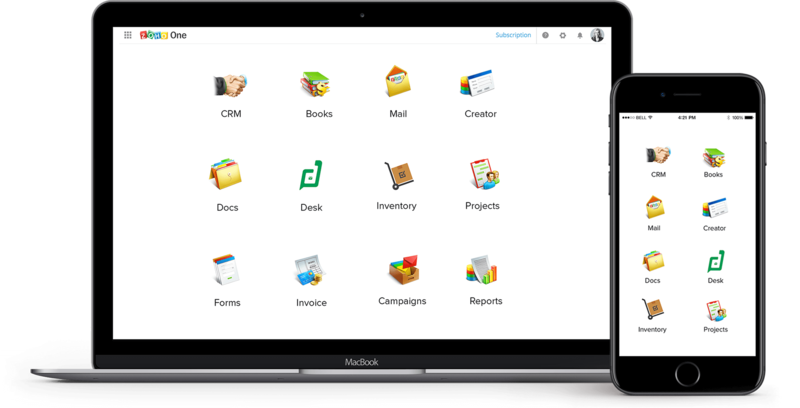 This is One Sweet (Suite) Deal: You’re getting full-featured, enterprise editions of the entire Zoho suite. That means being able to reach customers, grow sales, balance your books, and work in productive and collaborative ways from any device—all with a single login and password. As your one-stop back office service provider, we can setup and maintain your administrative and financial support systems and workflow processes with Zoho One to help you efficiently manage all your business operations – from finance, sales and marketing, support and projects. Let’s get started with Zoho Books for Finance. Send professional invoices to clients and start accepting online payments. It’s simple, fast, and convenient. Focus on work. Waste less time. Manage all your projects in a single place. Add tasks, assign project members, and log time from your mobile phone, or hit the timer button. With us, you can be sure to get your work done on time. 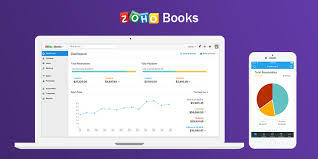 Zoho Books gives you the tools to make your time and work count, by providing you with features like logging and tracking time, giving role based access to log time, managing multiple projects, add expenses related to an invoice easily. It’s easy for anybody to lose track of time but as business owners, you cannot afford to do so. With Zoho Books you never have to lose a minute of your billable hours. You can either log the amount of time you spent for a project daily or weekly, or use the timer widget to clock the time you spend. It can get overwhelming for business owners to manage multiple projects with multiple employees working on it. Zoho Books makes it possible for you to control and manage multiple projects by letting you create new projects, add tasks for each project and assign specific tasks to your employees. Role based access in Zoho Books lets you give restricted access to those who you are working with. You can customize your users’ access by restricting their views, for instance you can let your contractors only use the timer or log time and nothing else. Don’t waste time trying to link expenses of a certain project while billing customers. With Zoho Books, you can associate all expenses relating to a project at the time of billing, easily. Get everything you need for running an efficient business but with less efforts from Zoho Books. With features like getting snapshot history of your transactions with any contact, real time information made available for multiple users, providing increased accessibility of your clients and multiple organizations in single account; things can only get better at work. Slice and dice your financial data with our Zoho Reports integration and make informed decisions. Contact us for a free demo or to find out about how we can help you focus more on what you do best and operate a succesful business. Want to get started on a free full-featured 14 day trial of Zoho Books? Try it now!